The Void at Cineplex’s Rec Room entertainment centres has quickly become one of the coolest tech-based activities that I always want to show off to friends. With a variety of deeply immersive, full-body virtual reality experiences based on beloved franchises like Ghostbusters and Star Wars, The Void is always a great deal of fun. This is no less true for Ralph Breaks VR, the latest Void experience developed by Lucasfilm’s ILMxLab emerging technologies division. 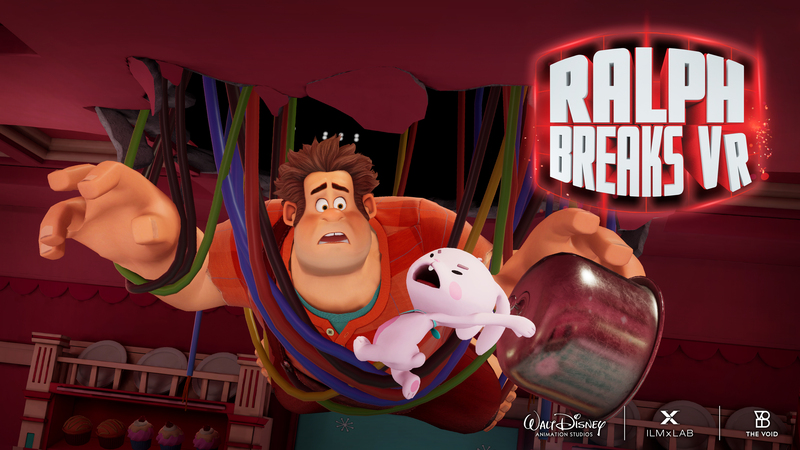 In Ralph Breaks VR, you and up to three other friends go into none other than the internet in a wacky and charming adventure inspired by Disney’s hit animated film Ralph Breaks the Internet. To start, if you’ve never tried out the VOID, it‘s quite an immersive experience. It’s a bit bulky, but you’ll get used to it pretty quickly. Most importantly, it never feels uncomfortable, with the backpack and harness fitting snug around your torso and the VR headset being adjustable and even allowing you to keep your glasses on underneath. An audio headset, meanwhile, lets you hear and communicate with your friends, which makes this a much more engaging social experience than you would normally find in VR. What’s perhaps most technically impressive, though, is the fact that the Void can accurately track full body movements. Step forward or move your arm in the real world and so does your in-game avatar. The Void is even capable of precisely tracking your individual fingers, which had me constantly throwing up peace signs and other finger movements at my friend. This tracking is essential since you’ll need to interact with both physical and digital buttons in order to progress. Once you enter the experience, you’re greeted by none other than Wreck-It Ralph and Vanellope von Schweetz, who look like they’re yanked right out of the Disney films due to wonderfully detailed and animated character models. They also sound just like their bubbly cinematic counterparts thanks to John C. Reilly and Sarah Silverman reprising their roles as Ralph and Vanellope, respectively. If you’ve seen the Ralph movies, you‘ll certainly appreciate all of this even more, but I imagine it will still be endearing even if you’re new to Ralph’s world. Once you meet up with the quirky pair, they’ll guide you through a zany and riotous trip through the internet. In one instance, our journey had us solving an electricity-based puzzle that “zapped’ our avatars when we made a mistake (giving us a harmless tickle through our backpacks). All the while, Ralph and Vanellope were, amusingly, giving us mixed messages about how to solve our current predicament. Another scenario brought us to a Space Invaders-style arena where you have to repel incoming ships using sci-fi blasters. Because I only played Ralph Breaks VR with one other friend, this meant that we couldn’t take full advantage of the pod’s weapons system, which had control panels that can support up to four players. I suspect even more chaotic fun will be had if you try the experience out in parties of three or four. The real highlight of the experience, though, is a shooting gallery inspired by the pancake feeding gag from the actual Ralph Breaks the Internet film. Using pancake-firing guns that you pick up in the real world, you and your friends must fend off an army of deranged rabbits, all while Ralph is comically trapped up above. It’s sort of like a Rabbids mini-game, except these rabbits aren’t insufferable. Ultimately, as with a lot of VR experiences, particularly those at the Void, Ralph Breaks VR is a rather short experience, lasting for perhaps 10 minutes after you’ve gone through the setup and pre-briefing. Given that, the $34.95 price tag might seem overly pricey for the amount of time you’re actually in the Void itself. For what it’s worth, I also didn’t notice much in the way extra-sensory features in Ralph Breaks VR, a stark contrast to the bevy of heat, wind and rumble effects I found in the likes of Star Wars: Secrets of the Empire and Ghostbusters Dimension. On the other hand, that also means it’s less intense than those other experiences. This makes it a great entry point for families and friends before potentially trying some of the other VOID games. It certainly doesn’t hurt that Ralph Breaks VR is a faithful and delightful recreation of a modern, well-liked Disney franchise, either. 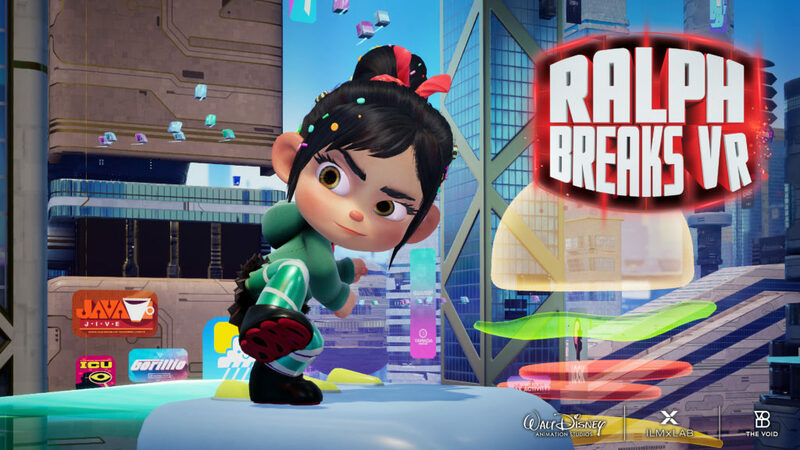 The internet isn’t always a great place, but in Ralph Breaks VR, it sure is entertaining. 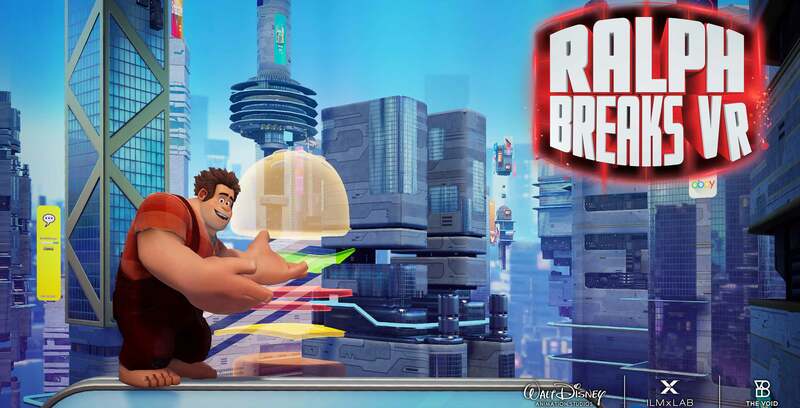 Ralph Breaks VR is available now at both the Toronto and Edmonton Rec Room locations.